Tanya Chutkan is one of 13 judges on the Federal District Court of the District of Columbia. An additional eight work part-time as Senior Judges. According to U.S. Court records, there have been 12,620 cases filed in the District of Columbia since Chutkan has been Judge. Then how did Judge Chutkan get assigned the Mariia Butina, Fusion GPS, and Imran Awan cases? July 14th, 2018 was a Saturday. That was when the Justice Department filed its first criminal action against Butina. How can paperwork be timestamped when the court is closed? Court-shopping is rigging the system to get one’s legal case steered to the judge most likely to rule in one’s favor. It is only illegal if caught. And if the opposing party objects to it. Is this how Judge Chutkan got steered the Awan and Fusion GPS cases too? Is that cause for a reversal? How does the Justice Department keep on getting away with it? Debbie Wasserman Schultz, D-FL, has a brother, Steven, who works as a U.S. Attorney in the Prosecutors’ Office in the District of Columbia. She is former campaign chairman for the DNC and the Hillary Clinton Campaign for President. Wasserman Schultz is also the one who gave her passwords to Imran Awan. Is that how the Butina, Awan, and Fusion GPS cases got “assigned” to Judge Chutkan? What does this say about the rest of the D.C. District Court? What are they doing to rein in Judge Chutkan’s judicial misconduct? 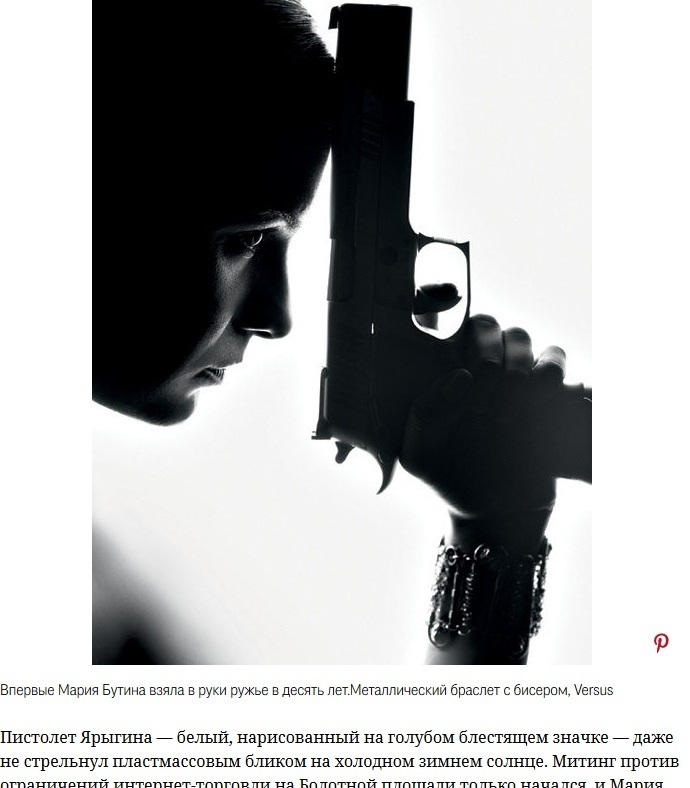 Mariia Butina (above), the Russian spy? Judge Chutkan can extend Mariia Butina’s solitary confinement and gag order with a five-year sentence Tuesday. With good behavior, Mariia is eligible for a sentence reduction of up to 54 days a year. Miss Butina plead guilty to being a Russian spy at a court hearing on Dec. 13th. Unless the gag order is extended, Mariia the has the opportunity to tell her story. Will the Judge deny that opportunity for five years? The court is waiting for new evidence less than a week before Butina’s sentencing. It is the names and pictures of Mariia’s former classmates at American University (AU). How many other student spies are in those pictures and names? Judge Chutkan has to allow the defense an opportunity to view all available evidence. To deny it would nullify the plea agreement. The Judge has no obligation, however, to disclose the new evidence to the public. The Judge can claim “national security”, blowing the cover for CIA operatives, as the reason for “sealing” it. Will that new evidence uncover the identities of other Butina student co-conspirators? 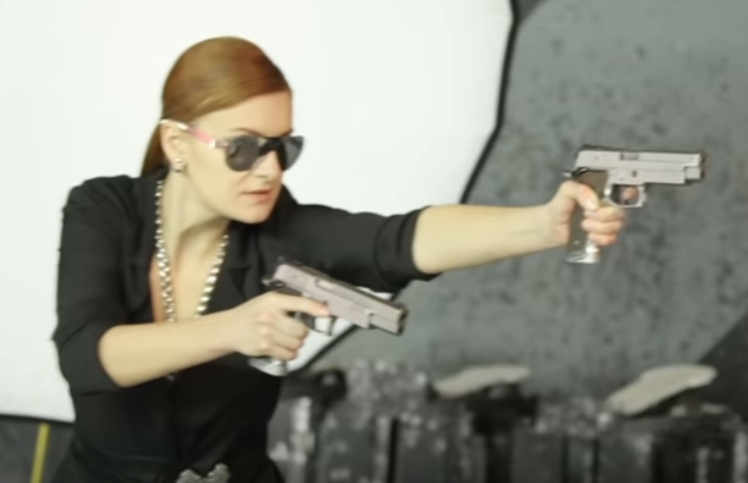 Will Butina’s attorney, Robert Driscoll, have time to prepare a proper defense before Tuesday? He has yet to ask for an extention of time in order to review the pending new evidence. The court is still waiting for it. The public may never know it. Miss Butina was arrested on July 15th, a Sunday. Two days after the arrest, Presidents Donald J. Trump and Vladimir Putin of Russia, were to meet in Helsinki, Finland. Was the arrest timed to disrupt the agenda of this meeting? The FBI served its second warrant at Mariia’s apartment on July 15th. They left with a hard drive with two terabytes of data, according to Prosecutor Erik M. Kenerson. Mariia worked for Susan Rice at American University (AU). Their offices were next to each other. Ambassador Rice was President Barack Obama’s National Security Advisor from 2013 to 2017. Rice’s job at American University was to review NSA and FBI surveillance data, then organize it, for the benefit of the Hillary Clinton for President Campaign. As Dean, Professor James Goldgeier was in charge of selecting 70 other students to help analyze the data with Butina as their student leader. Butina is jailed in the William Truesdale Adult Detention Center in Alexandria, Virginia. A Russian Orthodox Priest and Valery Butina, Mariia’s father, are approved visitors. Butina complained about her cell being cold. It took five months for the prison to turn up the heat. And Mariia’s parents and sister live in Siberia. Neither the Judge nor the Prosecutor can find guidelines on which to base Butina’s sentence. No one has ever plead guilty to the crime Mariia is pleading guilty to. In fact, never the Judge nor the Prosecutor have a copy of last year’s federal sentencing guidelines. The Judge asked her the correct spelling of her first name. It is Mariia with two “i’s”. Chutkan has been a U.S. Federal District Judge in the District of Columbia in Washington, D.C. since June 5th, 2014. To get her appointed, President Barack Obama created or “packed” the D.C. Court with a “new position”. At her Judicial Nomination hearing, Chutkan was asked about her lack of experience in criminal law. She had none. Nor did Chutkan have trial experience. She was approved by the Senate by a voice vote. It avoids having one’s vote go into the Congressional Record. According to the federal court’s system of records, Judge Chutkan has never tried a criminal case. Butina’s lawyer, Robert Driscoll, has no criminal law experience either. Neither does anyone in his law firm. Yet, Judge Chutkan has ruled that Driscoll has provided “competent” legal defense for Mariia. After all, Mariia said so herself at her pre-sentencing hearing on Dec. 13th. Chutkan issued a “gag order” on Butina’s case because of Driscoll’s repeated appearances for a national cable network, Fox. Butina was punished for it. Chutkan even assigned an “Advisory Attorney”, Mr. A.J. Williams, to monitor whether or not Butina has been violating the gag order since Dec. 13th. Williams is a Federal Public Defender assigned to the District of Columbia since 1990. According to Valery Butina, Mariia’s father, Driscoll’s fees reached $463,000 in July. “But the lawyer did not abandon the case . . . and has been actually working for free since then”, said Mariia’s father. “It is indeed a huge debt. “The case is politicized, this is why the fees are that high”, said Valery Butina. 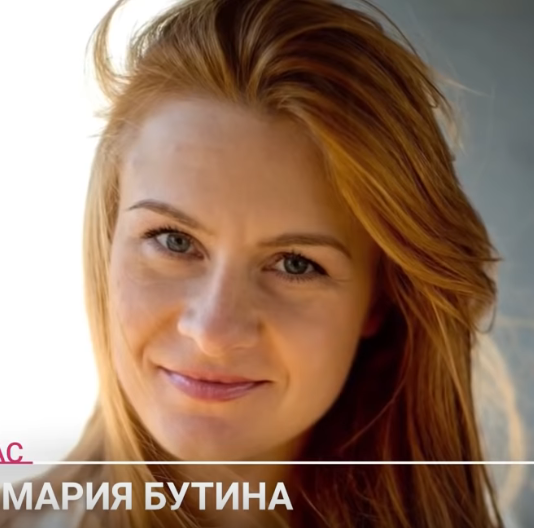 Butina’s hometown in Siberia raised $14,500 for legal fees. Butina’s father said that Driscoll “helped the family” set up a fund to pay legal fees. None of it goes to the Butina family. Who monitors an attorney’s escrow account anyway? How was Driscoll assigned the case? The same scheduler who assigned Judge Chutkan the Fusion GPS and Imran Awan cases too? Judge Tanya Chutkan was also assigned the case involving Fusion GPS. Fusion was paid to write the Russian dossier. Paid by the Russians through a Cleveland law firm. What happened to the checks that came and went from Fusion GPS? Who did they pay to produce false narratives for the media? Chutkan ruled that the checks be “sealed”, never to be made public. Judge Chutkan was also assigned the case of Imran Awan, another D.C. scandal. He was the “Pakistani mystery man”. For 14 years, he headed the Spy Ring in Congress for 40 members of Congress. In 14 years, how much intellectual property, patents, weapons, and pay-for-play deals were rinsed through Pakistan and sold to N. Korea, Iran, China, and Russia? Awan plead guilty to bank fraud. His six-month sentence was reduced to three months of “supervised” probation by Judge Chutkan. “He suffered enough”, said the Judge. Awan lives in Pakistan nine months out of the year. Awan received immunity from prosecution without having to testify against anyone. Exactly how did Awan suffer? He was paid $160,000 working three months out of the year to manage Congresses’ computer systems. Judges with lifetime appointments never have to explain anything. Updated Feb. 8th, 2019 8:41 a.m. According to Pacer, the official record of the federal courts, nothing on Butina’s release and plea agreement was filed yesterday. Bob Driscoll, Butina’s attorney, said yesterday that she should be home in Russia in six weeks. The plea hearing remains on schedule for Tuesday. The gag order has been lifted. Mariia remains in prison at the William Truesdale Detention Center in Alexandria, Virginia, according to the Russian Orthodox Church. She is no longer in an isolation cell. The prison is named after Special Prosecutor’s Robert Mueller’s grandfather.